The SP7 Dirt Inox is the most powerful pump in our range. Capable of pumping 15,000 litres of water an hour, offering an extremely quick solution to any problem. 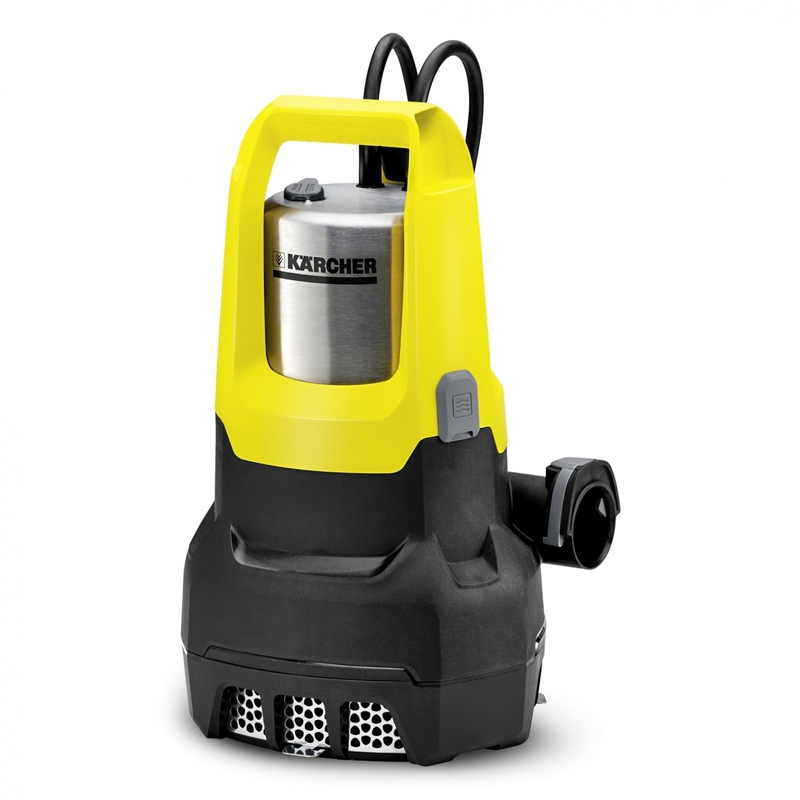 The Kärcher SP7 Dirt Inox is the most powerful pump in our range. Offering an extremely fast solution to any problem. From clearing flooded water or providing a simple solution to emptying a pond or swimming pool. The additional Inox feature means that the pump has a metal casing, giving extra durability. The ability to pump 15,000 litres of water an hour offers you a rapid response to any situation you may find yourself needing a pump. This is a particularly important feature when faced with a disaster such as flooding. The SP7 Dirt Inox uses an IQ level sensor, which uses an electrical current between two electrodes to activate the pump. This can be height adjusted to the level you wish the pump to pump down to. There is also a switch at the top of the pump, that you can manually turn on to pump out the last of the water. This SP7 has an inbuilt pre-filter to help protect the pump from coarse dirt, helping to prolong the life of the pump. It is designed to handle dirt particles up to 30mm in diameter. There is a 2 year warranty on the SP7 Dirt Inox, however, if you register your pump with Kärcher UK, we will give you an additional three years warranty totalling five years. Connection thread for quick and uncomplicated connection of 1″, 1 1/4″ and 1 1/2″ hoses.